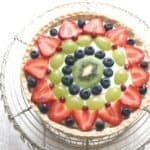 A quick and easy yet impressive Fresh Fruit Tart pastry made with sweet shortcrust pastry and seasonal fruit. 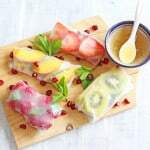 For me summertime and fresh fruit go hand in hand but sometimes I get a bit carried away or over-enthused by special offers and I end up with a lot of fruit needing eating. 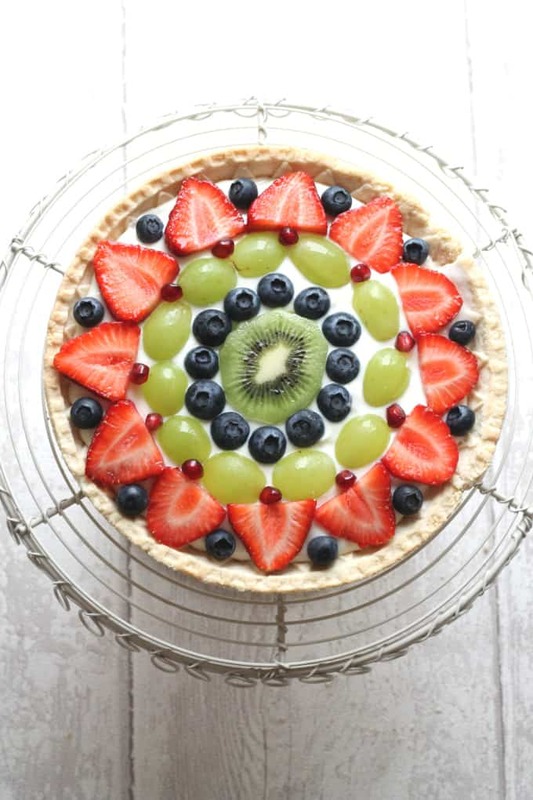 There’s only so many smoothies I feed my family and so my Fresh Fruit Tart was born! 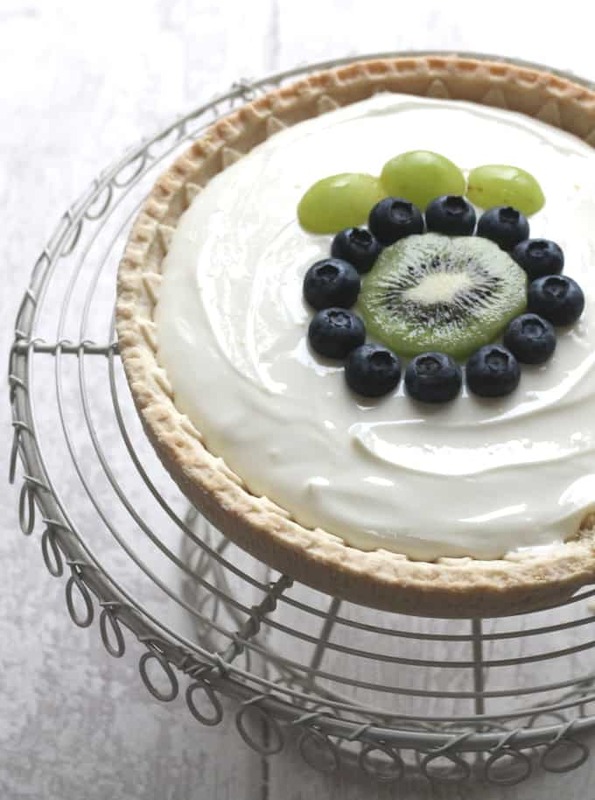 It a super easy, speedy dessert that you can whip up for a mid-week treat yet impressive enough to produce at the weekend if you have guests round. First of all, lets talk pastry. Now I’ve said it before and I’ll say it again…there is no shame in not making your own pastry. I very rarely do because I just don’t have the time or the inclination to risk making my own which will probably crack or crumble and get me very cross! 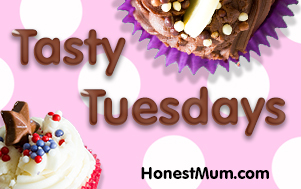 If you enjoy making your own pastry, then that’s fantastic and if you have any tips and tricks then please do let me know if the comments below. I will give it a go one day soon! So now that we’ve got the pastry issue out of the way, the rest is simple. The filling is just mix of cream cheese, greek yoghurt and icing sugar, flavoured with vanilla and orange zest. You can change up these flavours to suit your fruit. 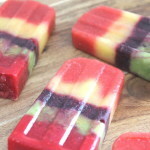 So perhaps make a lemon and lime flavoured filling and then top with more tropical fruits. 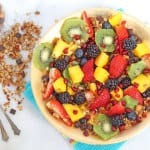 The fruit topping may look impressive but again it’s super easy. Just choose the fruits you want to use and start from the centre out. It helps to have one piece of fruit like this slice of kiwi as the starting point in the middle, making it easier to work outwards. If you want to use strawberries then I’d recommend leaving them until the outer edges of the tart as they are usually bigger. *Psst…did you notice the crack in the pastry in the above picture? It cracked when I removed it from the foil packet. So shop bought pastry isn’t perfect either!! 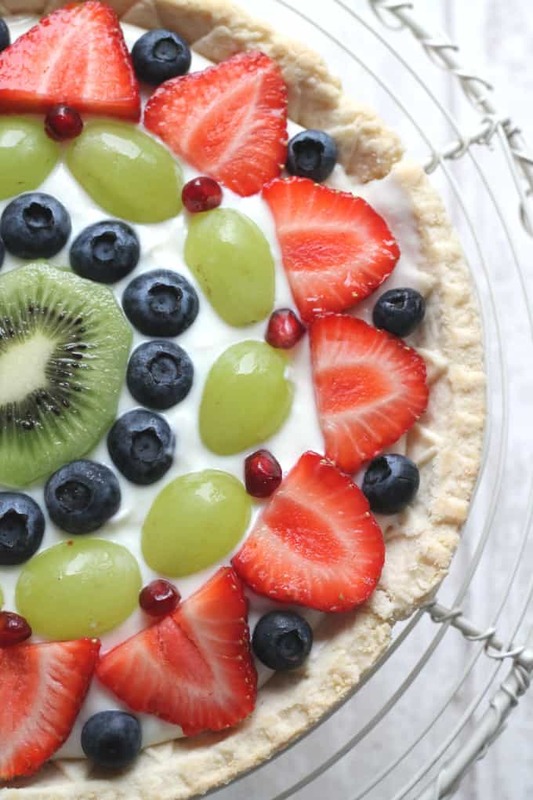 So there you have it, a ridiculously easy summer tart. Let me know if you try it or if you have any pastry tips for me. I do want to learn how to make pastry easily…I’m just a bit lazy!! Mix the softened cream cheese and greek yoghurt together in a bowl. Add the icing sugar and mix until combined. Then add the vanilla extract and orange zest. Spread the cream cheese mixture onto the pastry case and chill for 10 minutes in the fridge. 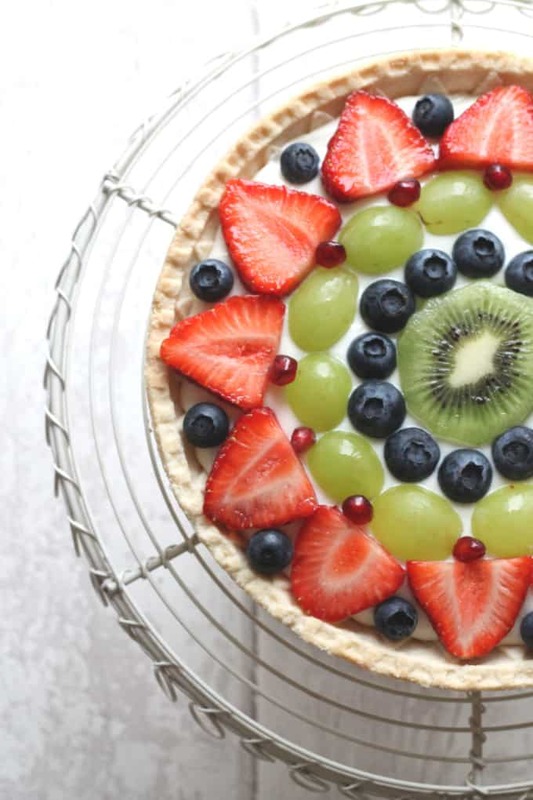 Once the filling is a little more solid you can arrange the fruit on top. 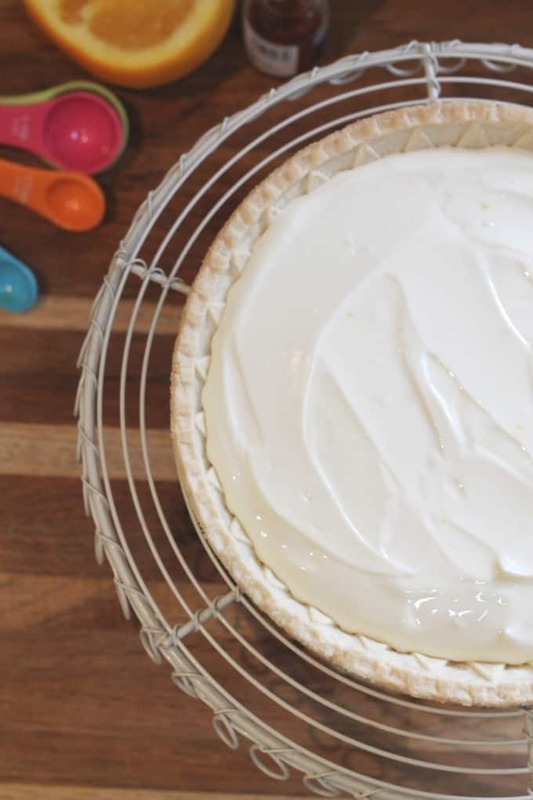 This tart can be made ahead of time and kept in the fridge. It is best eaten the same day but will keep for up to 2 days in the fridge. This came out looking really great and tasted really fresh. Can’t believe how easy it was (but looked like I’d been in the kitchen for hours)! This will be my go to dessert over the summer when I have friends over. It really is so easy Emily. Thanks for sharing! Wow! It looks so pretty. Amazing photos once again. Thank you Jenny. The rack is actually a cake stand – multifunctional! I got it in my local hardware store and I’ve thrown away the box so don’t even know what brand it is. Sorry. That looks so pretty! I love the little jewels of pomegranate. Thanks Kirsten. I love pomegranate! Yes definitely! It looks a lot more complicated than it actually is! I absolutely agree with you! Less time in the kitchen, more time in the sunshine!